Another quick, easy vegetarian dish for those of us who don’t feel much like cooking on a hot day. It comes from a delightful Rome-based food blog – Rachel Eats. Make it with some Cornish free-range eggs and the courgettes and basil in Camel CSA’s veg boxes this week. Rachel says this is “a quiet and familiar lunch” which she makes a lot. 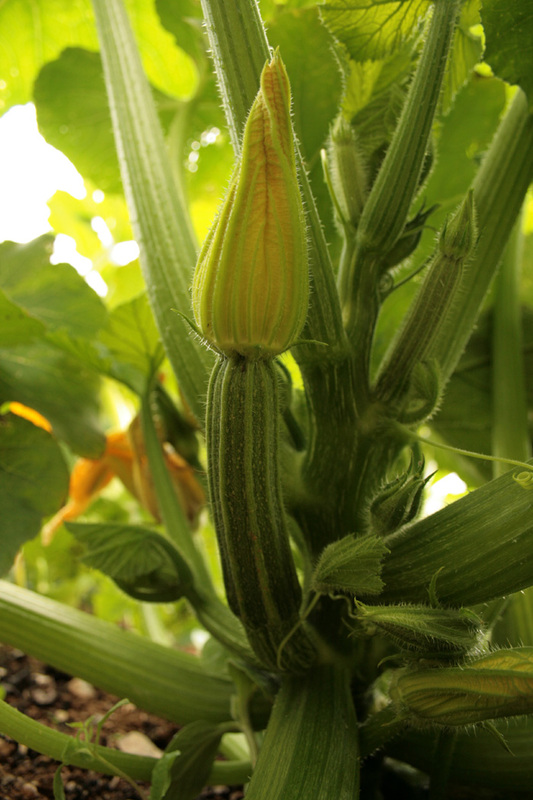 If the courgettes have flowers attached, they should be washed, patted dry and torn into strips before cooking. “While your pasta is cooking you fry your onion until golden brown (if you are using guanciale you fry that first and then add the onion and fry for a couple more minutes.) Then you add the fine strips of courgette (and courgette flowers), stir and allow them to wilt. While the wilting is happening you beat 2 whole eggs with some finely grated parmasan and pecorino and plenty of freshly ground black pepper in a small bowl.